On Tuesday 15th January Lewisham’s Recycling Team visited the SWEEEP Kuusakovski recycling facility in Sittingbourne. 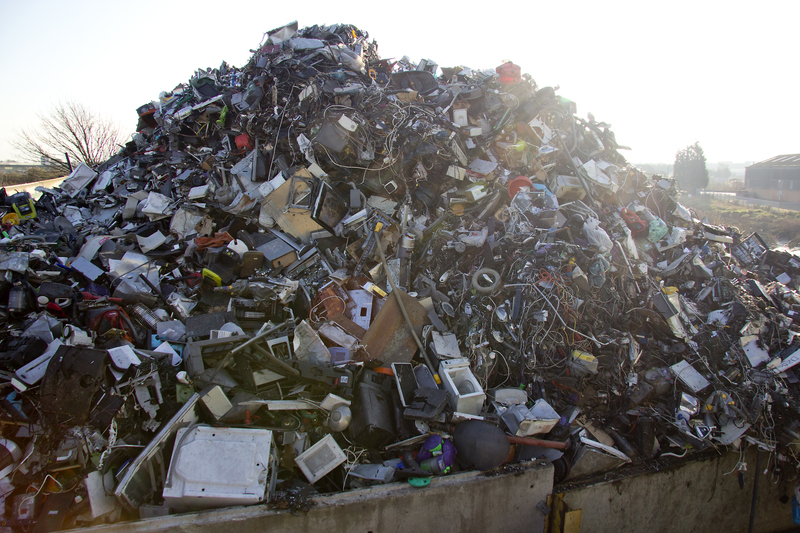 All of the borough’s Waste Electrical and Electronic Equipment (WEEE) is taken there to be recycled. 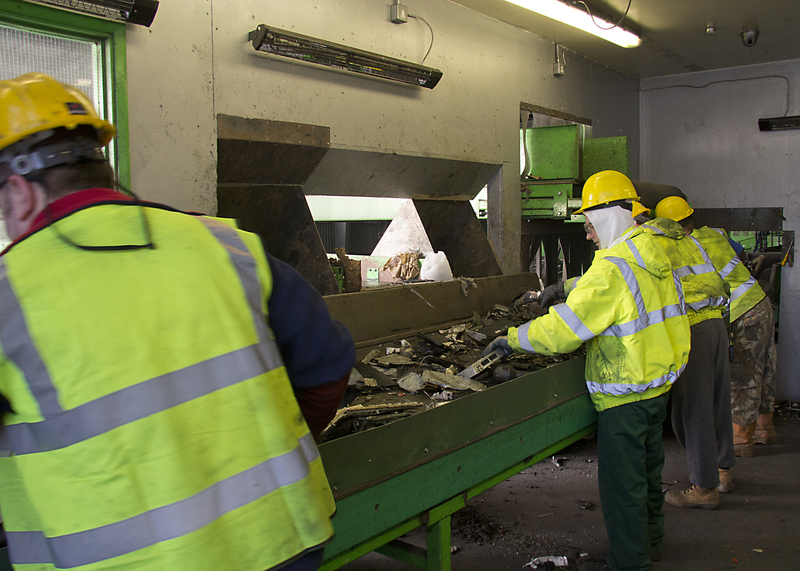 Sweeep Kuusakoski are one of the UK’s leading WEEE collection and recycling specialists. Waste Electrical and Electronic Equipment piles up before being processed. The £5m recycling plant is one of the most sophisticated and environmentally robust facilities in Europe. SWEEEP recycle over 94% of all WEEE that comes into the facility and are continually looking to improve that rate. The facility has a host of machinery that helps it to disassemble and sort different items from precious metals to rigid plastics, but despite all of this technology it would not be any where near as efficient without the dedicated people that do the jobs that the machinery cannot. Staff at SWEEEP sort and process the electronic waste off conveyor belts. They have also invested over £2m in the research, design and build of the first leaded glass extraction furnace. The Nulife technology means that they are able to remove all the lead that is in the old style cathode ray tube (CRT) TVs. On average an old CRT TV had over 1kg of lead in it and since we moved over to flat screen technology this leaded glass has been stockpiled throughout the world. 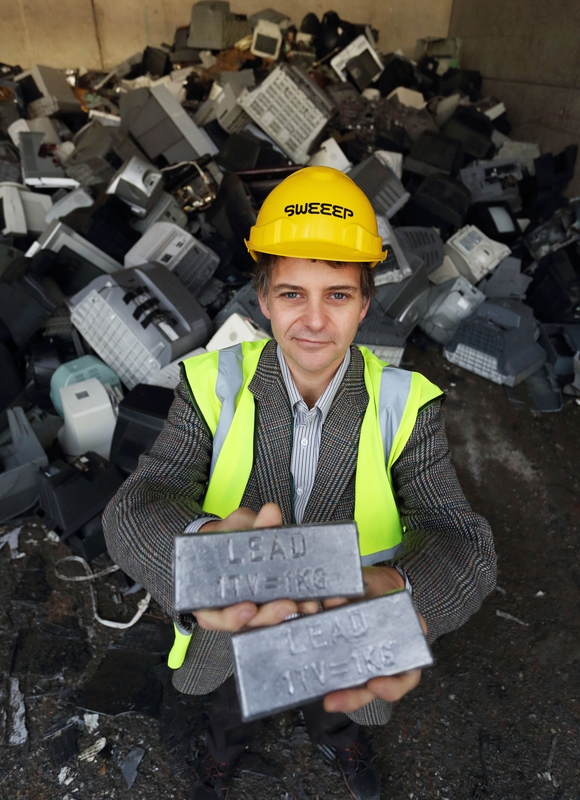 SWEEEP have invested in innovative technology to extract lead from old CRT’s. The SWEEEP Kuusakovski facility is the only place in the world where this hazardous waste can be processed. 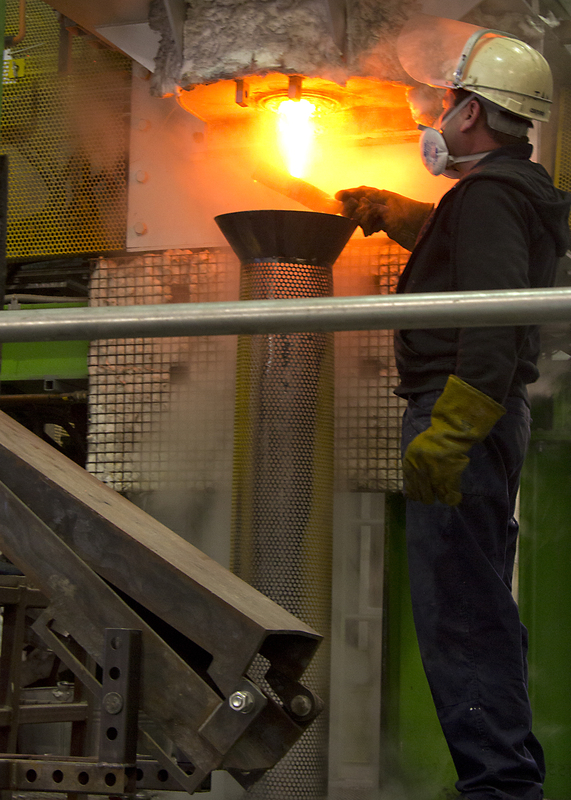 The furnace separates the lead from the glass and both are able to be reused in industry and manufacturing again. It is an absolutely amazing process and is a real success story of Britain’s new green economy. Justin Greenaway, Contracts Manager at SWEEEP. 1 CRT produces 1 kg of lead. Categories: commercial waste, recycling, WEEE | Tags: Extracting lead from old TV's, Justin Greenaway, SWEEEP, SWEEP Kuusakoski, Tour of SWEEEP, Waste Electrical and Electronic Equipment, WEEE, WEEE Innovation | Permalink. Beim ruhigen Lesen von dem Text “%BLOGTITLE”, dann fällt mir spontan auf, dass Einiges an Arbeit reingesteckt wurde. zahlreichen Seiten. Somit schön weitermachen und nicht unterkriegen lassen. It’s an remarkable article designed for all the web users; they will get benefit from it I am sure. to view the same high-grade content by you later on as well. Your style is so unique in comparison to other folks I’ve read stuff from. Thanks for posting when you’ve got the opportunity, Guess I’ll just bookmark this site. Very nice blog post. I definitely love this site. Thanks! when danger is sensed, even imagined danger. Putting customers on hold or shuffling them off to automatic answering services or programs just isn’t popular. Top of the list: 12 lessons from reality TV in 2012.
through saying Detailed trust this children on hand!! Thanks plus sustain this great creativity! !